21 Park Street, Suite 202, in downtown Attleboro. Our next Yoga Teacher certification course begins on July 8, 2019. 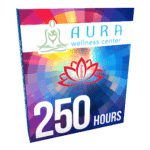 Candidates should have, at least, two years of steady training in Aura’s Restorative Hatha Yoga Style or comparable training within a similar style. Restorative Yoga is a gentle style that fits the needs of everyone. Client safety is our number one concern. You must make a commitment to be at all of the teacher training classes and go through an internship. 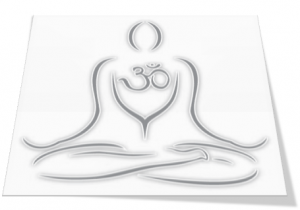 Level I Yoga Teacher training is based on 200 hours of intensive study within the many aspects of Hatha Yoga. Some flexibility can be built into your Yoga Teacher internship, based upon hours with your mentor and teaching Yoga classes. We will cover this on orientation day or you can call ahead. 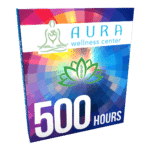 This Yoga certification program includes hands-on development with Dr. Paul Jerard, E-RYT 500, the Director of Yoga Teacher Training, independent research, and the home-study of teacher texts. We adhere to the International standards for Yoga Teacher training hours. All Yoga Teacher Training sessions are held with Dr. Paul Jerard, E-RYT 500. In 2018: This training was sold out in just a week! This is the most reasonably priced, and comprehensive Semi-Private Yoga Teacher Training Program, in the area. Space is limited to 6 candidates. Transportation to off site, hands on classes included. Interns, and Yoga Teachers, may attend any of these workshops for continuing education credits and contact hour requirements. Interns should schedule teaching hours (teaching or assisting a live Yoga class) 10 days prior to the desired date. Continuing Education and Contact Hour Certificates for onsite Yoga Teacher training are issued upon completion of workshops. Private Yoga Teacher training sessions are available at the private training rate. Yoga Teacher Apprenticeships, Mentoring, and Private Intensives should be scheduled 60 days prior to the session. The first $1000, of your tuition, is a non-refundable deposit. After July 1, 2019, all fees are non-refundable. There is no refund if you leave the training early, you may postpone your classes if there is a medical note provided by your physician.